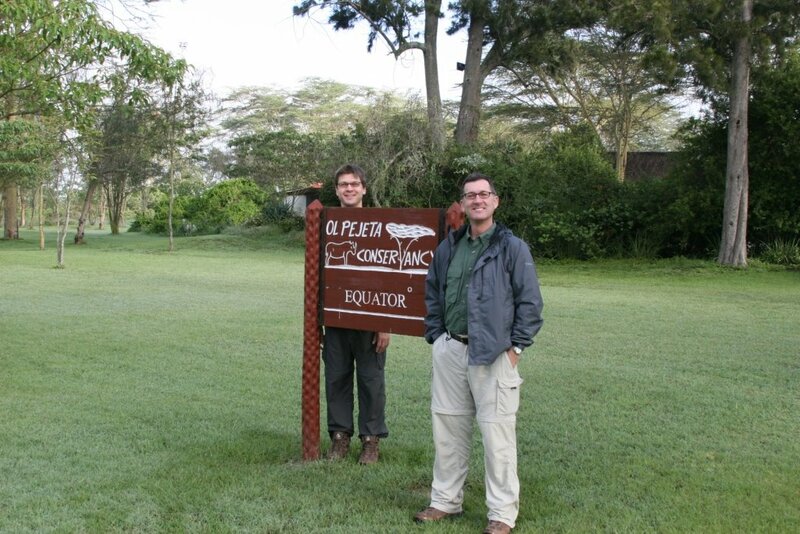 John and I in two different hemispheres–literally! We had the great opportunity to go on the trip of lifetime a few weeks ago. We joined a group of of 7 travel agents (like me) and their companions (like John) for a week long safari with Abercrombie & Kent. We saw and experienced so much in a week it was unbelievable. We had wonderful weather and a great time with our group. If you plan to go on a safari, take my advice, don’t economize. This is one trip that has enough bumps (literal and figurative) that you should do everything you can to smooth them out. If you have to cut corners on your next 10 vacations to do your African safari the right way, I say do it. A&K did a fantastic job and was worth every penny. Instead of being in a hotel or run of the mill lodge, we were in permanent tented camps that combined a great deal of comfort with the feeling of being out in the wilderness. The hot water bottle in the bed at night, comfy beds and linens, hot showers and flush toilets, and wake up calls that consisted of coffee and hot chocolate delivered to our tent was a great way to see Kenya. As you will see from the following pictures, we also saw lots and lots of wildlife. This is just a fraction of the 1500 or so pictures we took. How neat! I want to travel the world someday soon, and Kenya is high up on my list. :DThanks for visiting my blog.